Pink Castle Blog: 30% Off All Japanese Fabric, All Weekend Long! Do you dig Japanese fabrics? Have you wanted to grab something from the Minny Muu collection before it's all gone? Perhaps the project you're working on just cries out for some dots? Or, if you're like me, you just can't resist the outrageous cuteness on display in so many of the Japense fabrics. From handbags to florals to adorable woodland creatures, I could spend hours just imagining the best ways to put all these fabrics to use. From now through Sunday night, you can get 30% of all Japanese fabrics at Pink Castle! 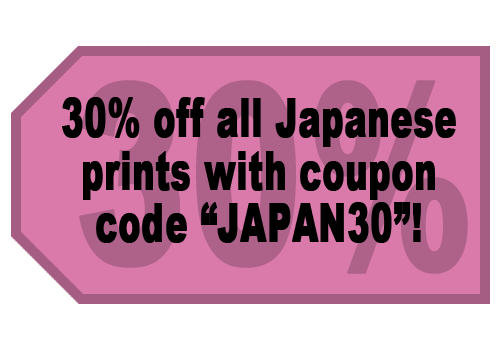 Just use our JAPAN30 coupon at checkout and save on all these wonderful prints!